Hibs’ new Chief Executive Leeann Dempster started work today, taking over responsibility for all Club activity, including – but not solely – football, community and supporter engagement, marketing and communications, and finance. Ms Dempster joins enjoyed a highly successful time at Motherwell who finished second in last season’s SPFL, behind champions Celtic. Welcoming Leeann, Chairman Rod Petrie told the club website: “The Board and I have recognised for some time that change was needed at the Club, and we set out to recruit the best possible person to take the Club forward. Leeann is that person, and we are delighted that she officially starts work with us today. Mr Petrie’s role will now be as Non-Executive Chairman, and he will focus on helping to facilitate the Change Agenda identified by the Board. He continues to be the conduit between the Club and its principal shareholder and benefactor, Sir Tom Farmer. Ms Dempster said: “There is a lot to be done at Hibernian to return the Club to its rightful position in Scottish football – both in terms of success on the pitch and in the way we engage with our supporters and our community. “I am excited by the challenge, and I will be relentless in pursuit of improvement and success. However, we need everyone to be together, to work together, and to ensure that we maintain the stable platform at the Club which is vital to help propel us towards our common goal of promotion back to the Premiership next season. 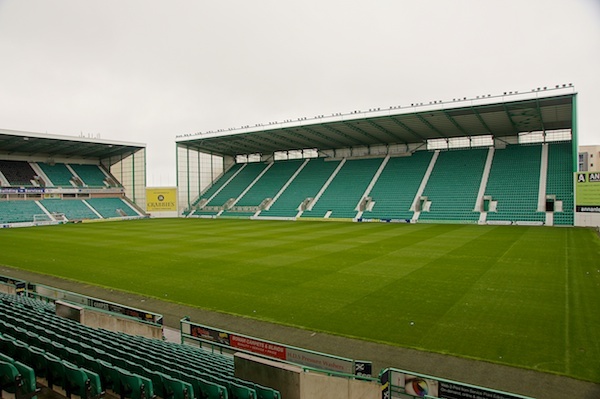 Meanwhile former Hibs’ player Paul Kane has urged supporters to attend Easter Road on Saturday at 11.30am to voice their protest against the continued presence of Rod Petrie on the Board.